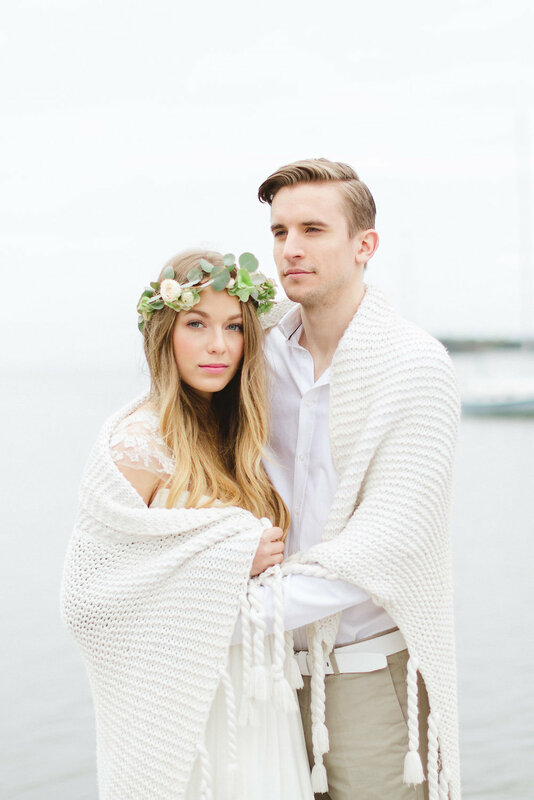 This romantic sailboat elopement shoot was the vision of Lisa Renault Photographie. I often collaborate with Lisa and was delighted to assist with the coordination and styling. We wanted to create soft images that had a distinctly nautical feel, without using navy or stripes. 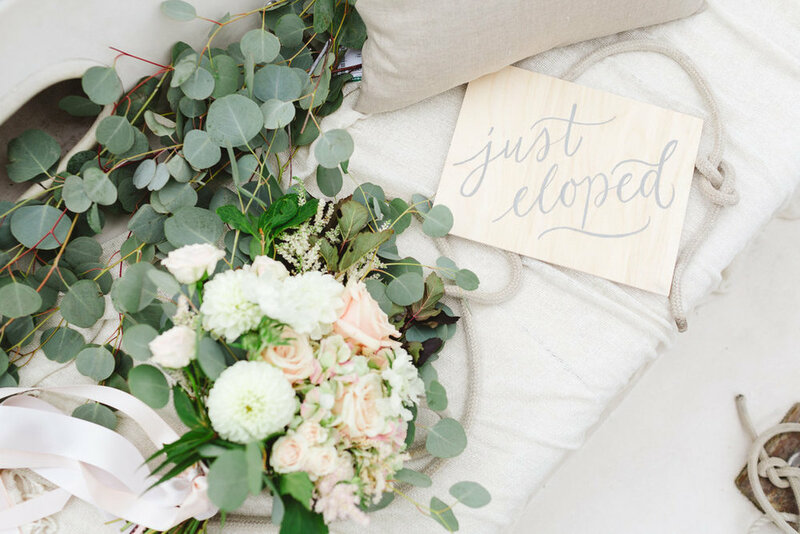 We instead opted for a delicate colour palette of blush, beige and white and added subtle nautical elements. Lisa connected with Pierre Ricard of École de voile 4 vents, who hosted our team aboard two of his sailboats out on Lac Saint-Louis, an expansive lake just outside of Montreal that opens into the Saint Lawrence River. 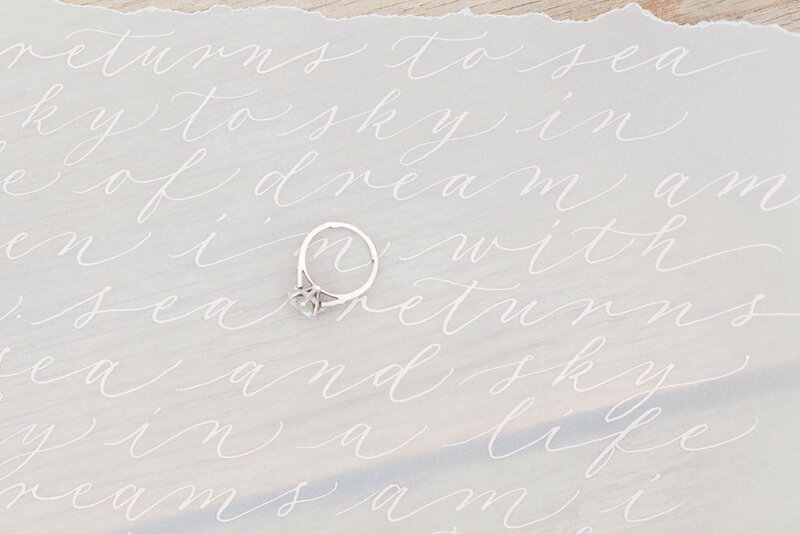 My personal highlights are below (with lots of calligraphy details, of course! ), and you can see the entire feature on Wedding Chicks. 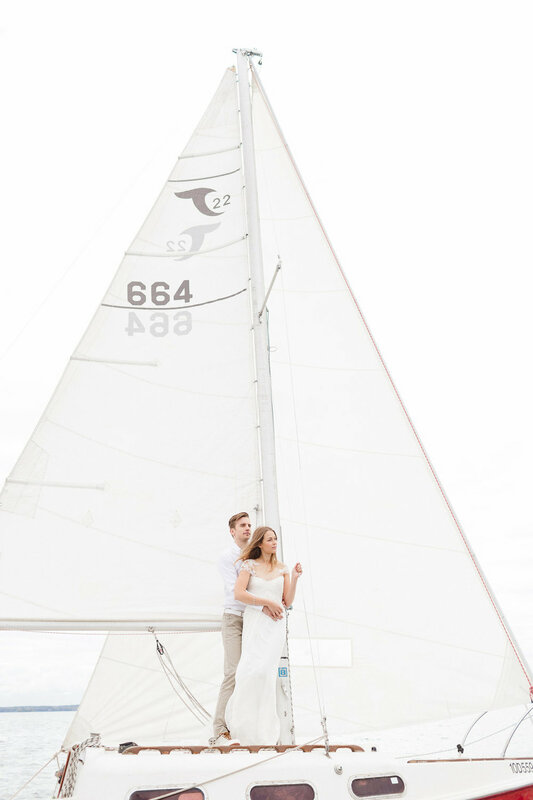 Photography: Lisa Renault Photographie | Art Direction and Styling: Lisa Renault and Joy Deneen | Captain & Sailboat: Pierre Rivard of École de Voile 4 Vents | Location: St. Louis Lake and St. Lawrence River, Baie d'Urfé, Québec | Hair & Makeup: Elizabeth D’amico | Bride: Ariel of Montage Models | Groom: Paxton of Montage Models | Bridal Gown: White, Montreal | Floral Design: Prune | Invitations & Calligraphy: imaginejoy calligraphie | Cake: Rustique | Cookies: Johanie Les Biscuits | Prop Rentals: La Mariée Bohème | Beauty Products: Evy Jo & Co.